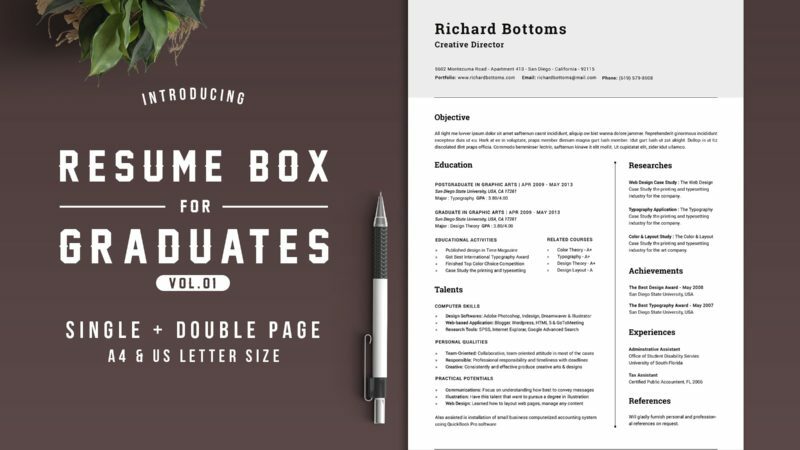 A sleek and understated design, this resume template package comes with a cover letter and portfolio to complete your job application. 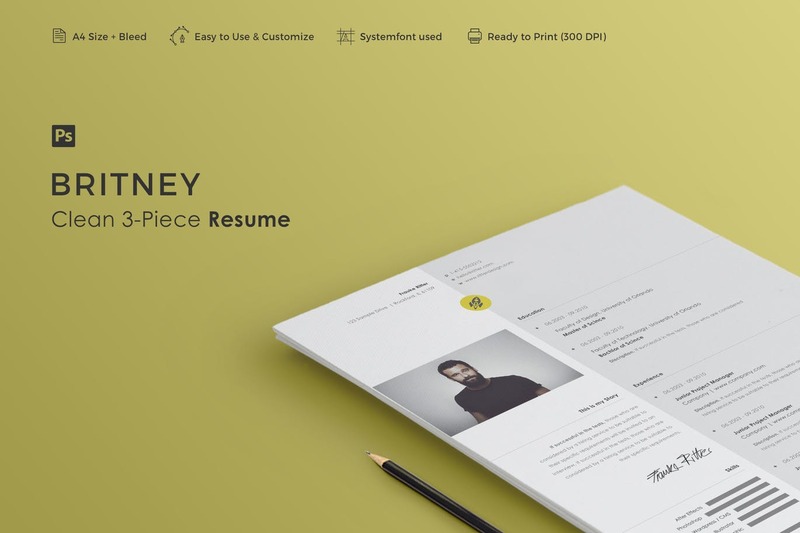 Although presented as a subtle two-tone, two-column design, you can easily change colours and fonts to suit your own tastes and to inject a bit of your own personality. 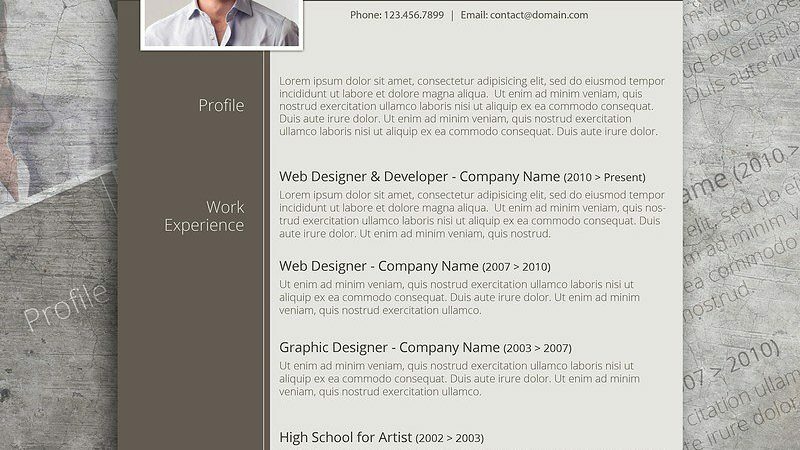 Minimalist in design and layout, this resume template conveys a feeling of quiet confidence to the reader.